The foundation of Stephen Ministry is to assist all God’s people in transformative healing and growth. 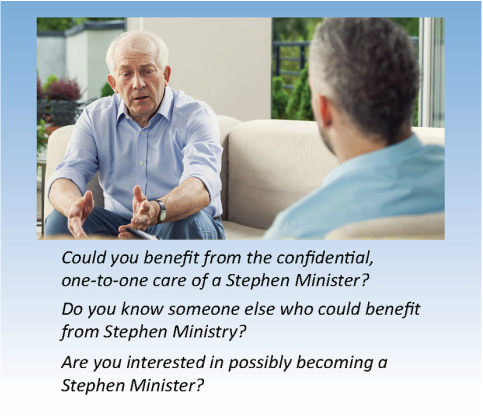 Download and print the Brochure about the First Congregational Church Stephen Ministry. role because of his or her care giving gifts. ​ receiver for as long as there is a need.